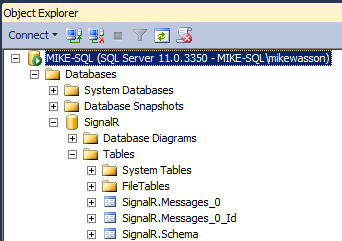 In this tutorial, you will use SQL Server to distribute messages across a SignalR application that is deployed in two separate IIS instances. You can also run this tutorial on a single test machine, but to get the full effect, you need to deploy the SignalR application to two or more servers. You must also install SQL Server on one of the servers, or on a separate dedicated server. Another option is to run the tutorial using VMs on Azure. Create a new empty database. The backplane will create the necessary tables in this database. This code configures the backplane with the default values for TableCount and MaxQueueLength. For information on changing these values, see SignalR Performance: Scaleout Metrics. Decide whether the application will use Windows authentication or SQL Server authentication to access the database. Regardless, make sure the database user has permissions to log in, create schemas, and create tables. Create a new database for the backplane to use. You can give the database any name. You don't need to create any tables in the database; the backplane will create the necessary tables. 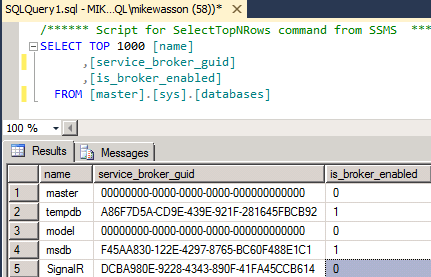 To check whether Service Broker is enabled, query the is_broker_enabled column in the sys.databases catalog view. 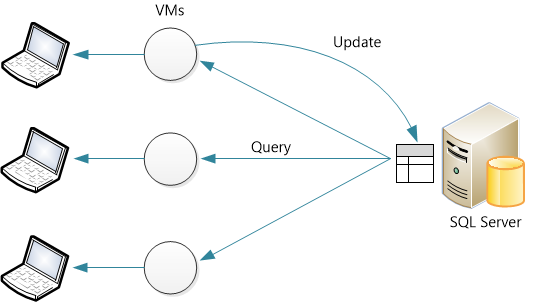 If this query appears to deadlock, make sure there are no applications connected to the DB. If you have enabled tracing, the traces will also show whether Service Broker is enabled. 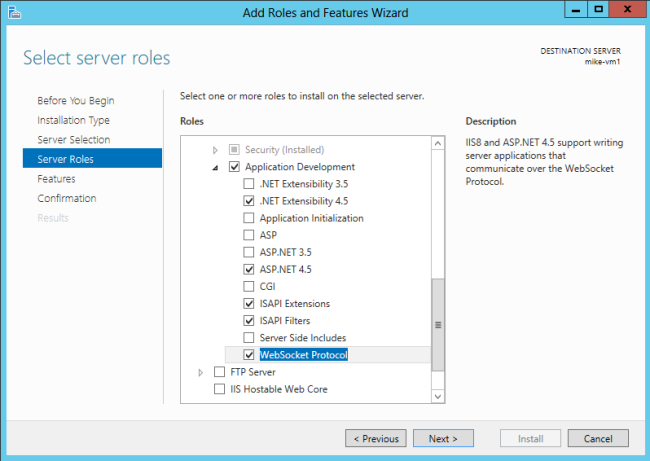 Prepare your Windows Server instances to deploy the SignalR application. 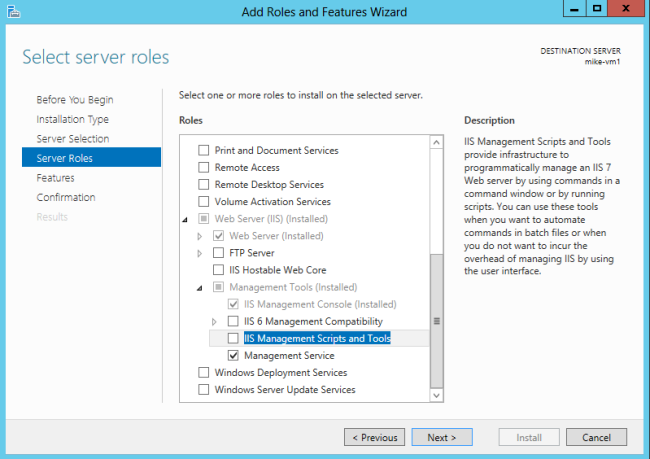 Add the IIS role. Include "Application Development" features, including the WebSocket Protocol. Also include the Management Service (listed under "Management Tools"). Finally, open port 8172 for TCP. This is the port that the Web Deploy tool uses. Now you are ready to deploy the Visual Studio project from your development machine to the server. In Solution Explorer, right-click the solution and click Publish. 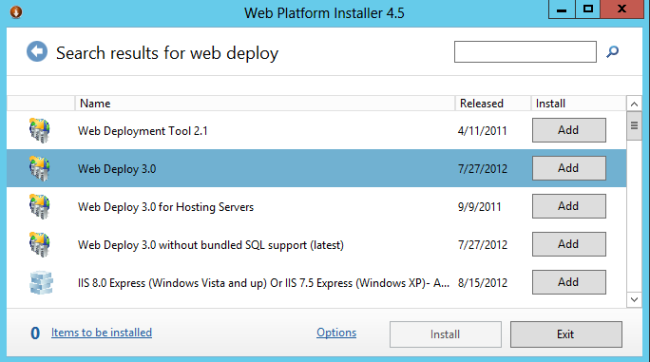 For more detailed documentation about web deployment, see Web Deployment Content Map for Visual Studio and ASP.NET. SignalR manages the tables. As long as your application is deployed, don't delete rows, modify the table, and so forth.